If you are a woodworking enthusiast or a professional who prefer to use the best tools to create unique woodworking projects, then you must consider using the best portable table saw. The portable table saws offer an incredible woodworking experience as you can use them anywhere with amazing perfection. Moreover, the portable table saws are designed with the provision of ample cutting capability along with higher standards of safety. Along with this, the portable table saws offer an attached stand that provides the benefit of portability. They also offer incredible quality of cutting with precise results that enables the woodworking enthusiast and pro woodworkers to create the best projects without any discrepancies. Thus, we have come up with the portable table saw reviews of the leading table saws available in the market to enable you making an intelligent choice for your woodworking projects. Let’s have an interesting view of the portable table saw reviews that would help you to choose the best table saw for the money. This Dewalt table saw has got the dimensions of 31 x 24.5 x 31 inches that makes ideally preferable work station for the longer piece of wood. It has got the 15-Amp-motor that is designed to rip through different varieties of woods quite easily. 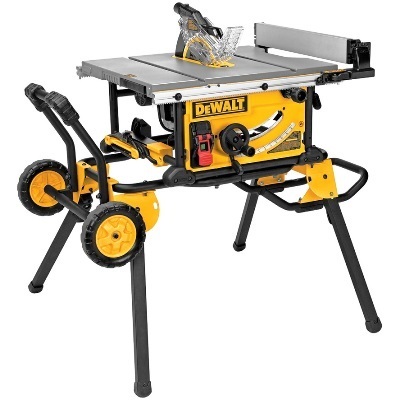 As I have used this Dewalt table saw in many of my woodworking projects, the things that I liked most its rip capability, 15-Amp-motor and its portability. This Dewalt table saw comes with a jobsite table saw, rolling stand, miter gauge, push stick and 24 tooth carbide blade with the dimensions of 10 inches. As it is designed for the serious woodworkers as well as the hobbyists, therefore, it helps to create the wonderful projects with professional expertise and accuracy. The table saw offers the dust collection port of two inches that makes it easy to connect with the vacuum cleaner to extract all the dust and keep the working station super clean. Moreover, it comes with 32-1/2 inch rip capacity that is designed to cut and trim the diverse categories of wood with precision. Along with this, its rolling stand makes it a highly recommended table saw that offers maximum output with efficacy. The other thing that I like most about this Dewalt table saw is its fence rails that are designed to extend and retract effectively. There is also the provision of ripping fence that flips off easily to create narrow rip cuts with professional accuracy. It offers numerous benefits of durability, portability and precision. It has got the rolling stand that helps in enhancing its usability accompanied with effective set up. The 15 amp motor allows working on hardwoods easily. It can be easily transported from one place to another owing to its provision of fence rails. The miter gauge doesn’t operate quite efficiently. The table top is not precisely flat that makes the process of work a bit clumsy. 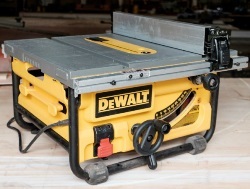 This Dewalt table saw is a product of high quality that comes from a renowned brand to offer the impeccable quality and service at the reasonable pricing. Overall, a good product. Table saw from Bosch comes equipped with a large sized table surface area with precise cutting having the ripping capability of handling a woodwork piece of 25 inches wide. Moreover, it is equipped with the stand that allows the user to have the complete control over the height adjustment as per the specific requirements of the task. Along with this, the provision of 8 inch wheels make this table a highly mobile table that can be transferred from one workstation to another without any trouble. 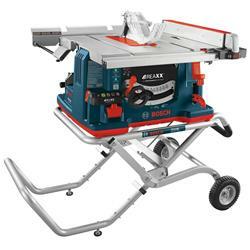 In my opinion, the Bosch 10-Inch-Worksite-Table-Saw table saw is a highly recommended product for creating the best woodworking projects. It is designed to provide the durability and the benefit of longevity as it arrives with the provision of one year warranty. It comes with the amazing features like smart guard system, square lock rip fence, a strong sub base that is equipped with carry handles for optimized performance. Moreover, the provision of anti kickback pawls along with riving knives help you to exercise amazing command over the cutting material. Along with this, it offers the highest level of protection and incredible line of sight that makes it easy for making smooth and precise cuts. The top of the table saw is designed with the premium quality machined aluminum that makes it suitable for high end performance along with safety provision. It also helps to get better return on investment as it allows the smooth operation of the wood cutting and make it a great task for beginners as well. The provision of wheels makes it super mobile as you can take it precisely anywhere you want like your job site and work with pace and accuracy to yield better results. I have used it on various projects and found it highly useful and productive. 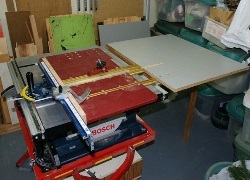 Thus, in my opinion, this Bosch table saw is highly safe to use and is referred for professional woodworking projects. The Bosch table saw is durable and well designed. It is highly performance oriented and delivers best outcomes even with a large piece of wood. It offers the cutting trueness that make less wastage and bring optimized results. It’s smart guard mechanism helps the user to have maximum control over the material that is being cut with adequate safety measures. There is a problem in its dust management system that needs to be mended with the installation of vacuum cleaner. It has got low ripping capacity that may add to the problem if you need to work on a large piece of wood. This portable table saw is revered as one of the best table saws for the money as it comes equipped with amazing features that make it a highly recommended portable table saw. 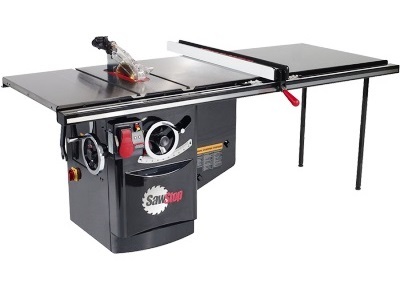 This SawStop table saw is a highly sophisticated machine that arrives with the provision of 13 amp motor, 52-inch T-Grade fence system with rails and extension table accompanied with professional expertise. I must refer this SawStop table saw for all those people who intend to have experience of working on the professional woodworking machine. The SawStop table saw is recommended by me to all the hobbyists and professionals owing to its deep commitment towards safety measures. As if the users touch the spinning table saw blade accidentally, then within milliseconds, the machine stops and avoids the major injury. Moreover, the T-Glide fence system has been designed using the premium quality gauge steel to ensure that broad workspace is available to the user with smooth operational efficacy and better measurement. It also ensures to have the effective lockdown with no deflection. There is a provision of dust collection blade guard that helps to collect 99% of the dust on the workstation and provide a healthier working environment for the users. The availability of poly V-ribbed belts help to provide the transfer of power in a quiet manner and that too with the minimalistic vibration. So far as the mobility is concerned, what I really like about this table saw is the provision of two stationary and two pivoting casters. Beside this, if the user wants to upgrade the mobility feature, then he can do so by MB-PCS-IND mobile base assembly. It provides the option of lift capability of a thousand pounds, a hydraulic piston lift, and independent pivoting casters for enhanced mobility. This SawStop table saw is a premium quality machine that is designed with all the advanced features. It incorporates the essential safety feature of electrical signal that helps to stop the machine when it comes into contact with human skin. It is recommended for the professional woodworkers as well as hobbyists who intend to create incredible woodworking projects. It is highly portable that makes it amazing machine to be transported to different work locations. This table saw is a bit difficult to assemble. There is a misalignment of splitter with the blade that affects the working efficiency. On a whole, the SawStop table saw is an excellent workstation for pro as well as beginners as it offers high quality safety features accompanied with incredible performance. The 10 inch Dewalt table saw is designed with site pro modular guarding system along with 15-Amp-motor and 24-inch ripping capability that makes it highly suitable for large sized and hardwood pieces. As I’m a professional woodworker who aims to deliver perfection in each project, so I prefer using Dewalt table saw for delivering the perfect result. It comes with pinion and rack telescoping fence rails which make it highly efficient in having the required fence adjustments with ease and precision. Its blade can be effectively adjusted from 0 to 45 degrees for having the bevel adjustment. Moreover, its 24 inch rip capability makes it highly usable for cutting and trimming the large sized materials with amazing perfection. I like its feature of onboard storage that makes it effective to get entree to the components of site pro guarding and the push stick when the things are not in use. There is an extremely usable feature of rear feat that is adjustable and designed to help leveling the saw even on the most uneven surfaces. It has got 24T carbide blade that is meant to make the cuts more precisely and also helps to enhance the shelf life of the blade. Moreover, the provision of dust port with 2-1/2 inch vacuum cleaner helps to keep the working station clutter free and clean. 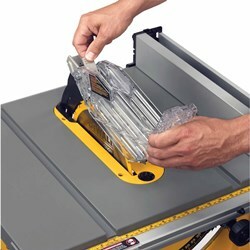 This Dewalt table saw comes with a metal roll cage base instead of plastic base which makes it durable and highly useful with mobility feature. It can rip the hardwood with ease. Its rip capacity allows working on large piece of wood quite effectively. The mechanism of the blade lock doesn’t operate efficiently. The rack of the fence is equipped with sharp edges which makes it risky to use while reaching out to the lever of the fence lock system. This Dewalt table saw is an amazing machine from the brand that offers the highest quality product with unmatched performance and the product is worthy of its cost. The Skil table saw is 20-Inch x 26-Inch cast aluminum table that can be easily extended to 20-Inch x 32-Inch to offer an amazing work experience. It also helps to work on longer pieces of wood quite easily. There is a provision of high quality steel stand that makes it extremely flexible to use and also adds to its durability. Moreover, the provision of a self aligning rip fence enables the user to use it precisely for exact measurements. I have got the opportunity to use this Skil table saw in one of my projects and I have found it a highly useful table saw. It has a 15-Amp-motor that is designed for ripping through the different range of wood. Moreover, it has got the durable steel stand that comes with a quick mount facility that makes it super easy for installation and use. It has got 3-1/2 inch cutting height that makes it highly efficient to cut through 4x material and that is in a single pass. I particularly prefer the Skil table saw as it offers the provision of EZ view measurement system along with self aligning rip fence system. Both these features add to the benefit of the users as they can have the accurate settings and measure the wood pieces in a precise manner. It also offers the three year limited warranty with registration of the product within 30 days of purchase. Thus, the users can have benefit of warranty from any sort of manufacturing defect, but only if he registers the product within 30 days of his purchase. But, the user must take care of the fact that the warranty is available for the original purchaser and not to the succeeding purchasing party. On a whole, I enjoy working on the Skil table saw for its optimum precision, high powered motor and safety features. This Skil table saw is highly durable professional grade machine that offers a large working space for long sized work pieces. Its self aligned rip fence allows the users to make smooth and clear cuts. It has got the high quality steel stand for easy setup and usage. It has cutting height competence that comes with dimensions of 3 ½ inches to allow the large pieces of wood which is about four times bigger than the standard woodpieces to cut with precision. This table saw’s rip fence seems to be a bit loose. The size of miter slot is extremely small that doesn’t comply with the size of miter gauge. There is no provision of manual guide which makes things a bit tricky to manage. This Skil table saw is a great utility machine that offers numerous safety features along with great performance and its a great table saw for the money. 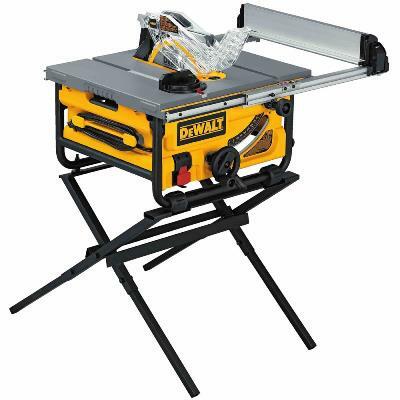 The 10 inch Job site Dewalt table saw comes equipped with a scissor stand along with pinion and rack telescoping fence rails which allows adjusting the table with accuracy and precision. In my opinion this Dewalt table saw is a powerful machine that comes in size of 30.8 x 20.4 x 30.2 inches to offer a great workstation. As it comes with the 15-Amp-motor that is designed to cut the pressure treated hardwood and lumber, so it is highly useful in professional usage. Along with this, this Dewalt saw comes with compact folding table stand which allows the user to use it for the stand alone job site. It has got the site pro modular guarding system that enables the users to adjust the guarding components required for each application. Furthermore, it comes with the feature of 28 inches of rip capability that helps to cut a huge variety of larger shelving and also offers trimming facility of different materials. This Dewalt table saw has got the board storage that allows the complete access to guarding components when the push stick is not being used. 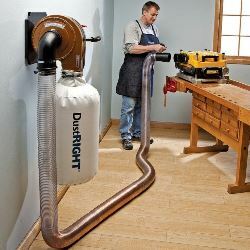 The provision of 2 inch dust collection system port easily connects with the vacuum cleaner to have a clean working station. The scissor stand of this table saw makes it highly convenient and flexible in usage for on job site users as well as the hobbyists. 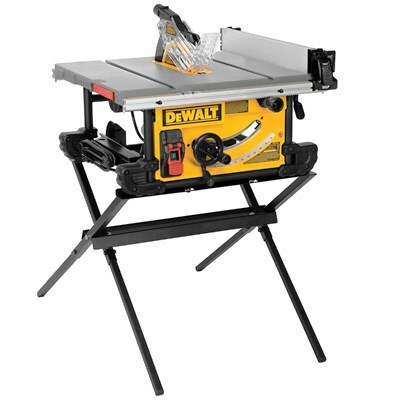 This Dewalt table saw is highly adjustable and portable machine. It offers the finest quality of performance with 28 inches of rip capability accompanied with scissor stand. Its 15 amp motor is designed to cut the hardwood with maximum precision. It comes equipped with folding stand that makes it highly recommended machine for on site job work. It is difficult to make adjustments to the rack and pinion telescoping fence. The alignment of the riving knife creates trouble while working. The miter gauge sometimes doesn’t work efficiently. Overall, this Dewalt table saw is a great product that offers all the advanced features at the competitive pricing along with maintaining the required safety standards. 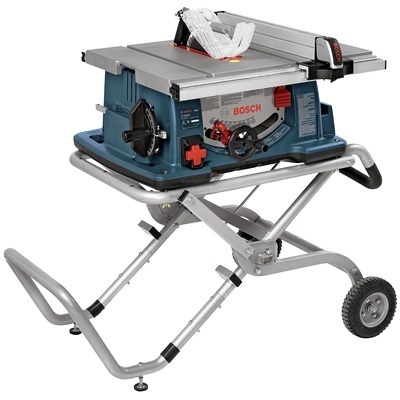 The 10 inch Bosch table saw comes equipped with the balanced one handed carry handle that offers amazing flexibility along with the benefit of portability with its all-steel and lightweight base. As a professional woodworker, I go to different job sites and I require the super flexible and best portable table saw to enhance my productivity. This Bosch table saw is recommended by me as it comes equipped with the single handle design to carry it easily to different places. Moreover, its ergonomic design adds to its benefit of being so comfortable in use even at the odd working conditions. The table saw is precisely well built with all steel bases and having all the contemporary features that make it highly durable and result oriented. There is a provision of a square lock lip fence that helps in enhancing cutting trueness while reducing the wastage and improving the productivity. I also favor using it as it comes with the provision of T-slot miter and auxiliary fence slot that truly makes it the best in the woodworking industry. Along with this, the riving knife is designed to avoid the material to pinch the blade. It also enables the user to make full upright, non thru-cutting and splitting with ease and precision. In fact, the riving knife and rails help the user to have excellent command over the material that is being cut for having optimized perfection. It arrives with superior steel built that adds to its longevity. It has got all the essential features like smart guard mechanism that essentially make it result oriented machine. It is highly recommended machine for accomplishing an extensive range of woodworking projects. There is the need of having a saw dust bag to avoid clutter in their workstation. It is a bit tricky to handle and adjust the position of the rip fence. It is not recommended for light woodworking projects. 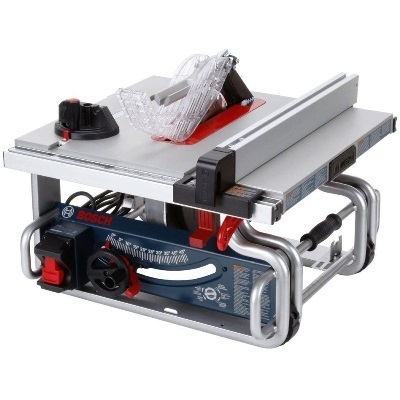 On a whole, this 10 inch Bosch table saw is highly recommended product that offers all the key benefits of a professional table saw along with proving safety features. This Ridgid table saw is a Retract-A-Rip system that is tool free and arrives with an extendable table having 25 inches rip capability and 15-Amp-motor for optimal performance. This portable Ridgid table saw is one of the most efficient table saws that offer the Retract-A-System along with having the benefit of being tool free. It is highly recommended by me as it offers the complete clutter free working space. In addition to this, there is provision of an internal rip fence that helps in maintaining alignment through the protection of a fence while stored. Moreover, it has got the 25 inches of ripping capacity that makes it an efficient table saw that delivers the output by reducing unnecessary wastage. It arrives with the provision of 15-Amp-motor that makes it super powerful in handling the toughest cuts with precision. There is also the provision of micro bevel adjustment to ensure the amazing level of perfection for having perfect bevels. It also offers the provision of Ind-I-Cut alignment disk with the writable surface to make it certain that all the cuts are aligned adequately with the kerf of the blade. It comes equipped with an extendable table that makes it highly useful base to provide adequate support to the material while cutting. It also comes with the provision of safety features to ensure that the users are safe while performing the woodworking tasks on the machine. This Ridgid table saw offers the premium quality built with 15-Amp-motor for amazing performance. It offers the extendable table that helps to cut the larger pieces of wood with precision and accuracy. The 25 inches of ripping capacity is designed to ensure high end results with precision. It is meant to provide the best results especially for heavy duty woodworking projects. It is quite difficult to assemble this table saw properly. No proper guidelines to assemble and use. To summarize, Ridgid ensures incredible performance with all the key features at a competitive pricing. The 10 inch Shop Fox table saw arrives with the provision of 3 HP motor, massive cast iron trunnions and polished cast iron table for offering the expert services. I have used this Shop Fox table saw and found it extremely reliable for offering quality services with precision. It comes with the provision of camlock T-fence, magnetic switch, T-slot miter gauge, riving knife for optimal performance. What makes it efficient is the availability of dust collection port of 4 inches that allows the user to have the incredible precision while working on the station without any mess. It has got the 50 inch rip capability that makes it highly proficient in cutting the larger pieces of wood with professional expertise. The other key aspect of this Shop Fox table saw is the provision of a big extension table that makes it super easy to work on the big projects. Moreover, the availability of the adjustable legs, amazing table top with square sized steel tubing frame that makes it effective for the users to attain precision in their projects. It has got amazing safety features that incorporate the spreader, polycarbonate shield, along with the anti kickback pawls on both the sides of the spreader. Furthermore, it is specifically designed to support the cutting of larger wood pieces as it comes equipped with a miter fence that offers better support as compared to that of a miter gauge. It has got the provision of T-slot miter gauge, riving knife and much more advanced features to make it truly a woodworker’s requirement. It is a powerful machine meant for tough woodworking projects. Its 50 inches rip capacity makes it a highly productive machine for handling large pieces of wood efficiently. No specific guidelines regarding its installation. In order to mount the switch, the user needs to make a drill hole and that is a bit troublesome. On a whole, this Shop Fox table saw is highly recommended machine for all the professionals as well as the budding enthusiasts owing to its high end features with commendable precision in each project. The 10 inch Makita table saw is a robust machine that comes with 15-Amp-motor, a modular blade guard system that is tool less along with having adjustable knives. I got the opportunity to use this Makita table saw in my professional woodworking project and found it highly rewarding. It comes with the provision of tool less modular blade guard system that has got the dual side guards with adjustable features that helps in taking the precise measurement for accurate cutting set ups. Along with this, this table saw is also having great cutting capability. It can cut the four times bigger sized material in just a single pass and that is with amazing precision. In addition to this, the Makita table saw can be utilized for various purposes that include finish carpentry, remodeling, cabinet installation, flooring contracts, furniture making and much more. The table top of this Makita table saw is designed with premium features that help the woodworkers to use their professional expertise in each of their woodworking projects. It comes with the portable stand that is highly flexible and made of high quality material to ensure that the machine is durable and can be used on the jobsite as well as in the workshop. The factor that makes this table saw highly superior to others is its capability to store all the materials that are required while doing the work on the rip fence, saw blade, dado blade, push stick, wrench, miter gauge, safety guard and power supply cord. The Makita table saw is a highly efficient machine that offers the benefit of portability, amazing precision with effective cutting capability. Its storage capacity makes it a highly efficient machine. 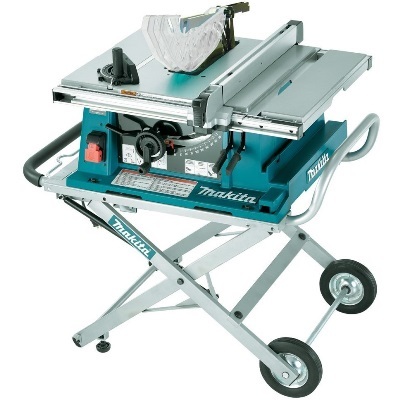 All the safety features enable to optimize the performance of this Makita table saw. It can rip the four times bigger size of wood pieces with accuracy and that is in just a single pass. There is a problem of portability with this machine. It is a heavy duty machine not meant for small projects. On a whole, the Makita table saw is a powerful machine that is designed for making the larger cuts with accuracy along with offering the high end results in each project. If you intend to do the beginner level woodworking tasks, then you should opt for the table saw that comes within the price range of $100 to 150. It can help you to do simple tasks like ripping a board at your place for some DIY projects. But, if you require a table saw that is portable and offer you the benefit of flexibility in terms of mobility and usage, then you should go for Bosch GTS1031. There is a Dewalt DW745 table saw that can also help you to attain the precision in your woodworking projects and also offer the benefit of portability. But if you need to do the professional woodworking then choosing the Ridgid R4512 would offer you the best results. The most crucial aspect of every table saw is its ease of setting up. If you are a beginner, or a professional woodworker, you need to choose a table saw that offers you the provision of easy assembly so that you don’t need to hire anyone to do the job for you. So, before selecting the required table saw, you need to make sure to read its guidelines and understand that whether you understand the instructions clearly and you can assemble it properly. In case, the setup seems perplexing to you, then make sure to take guidance to set up the table saw properly to avoid any injury. Miter gauges play a significant role in enhancing the proficiency of the user towards making the best cross cuts. 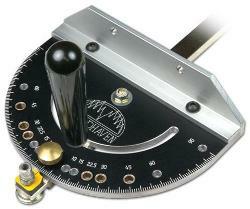 In fact, the miter gauges help the users to cut the different materials at any angle quite efficiently. As the miter gauge act as the reliable guide for the table saw, so you need to choose that table saw which offers the benefit of using the best heavy duty miter gauges. In fact, the Ridgid miter gauge can prove highly useful for making the accurate and wider cross cuts with much professional accuracy. So, you need to check the miter gauge before buying your table saw. The best table saw must be accompanied with the feature of sturdy and accurate rip fence. As the majority of the cuts that you make while using your table saw are rips, you need to have the sturdy rip fence. In fact, the rip fence can be defined as a bar that is designed to guide the available material when it passes through the blade of the table saw. So, you must check the rip fence before choosing the best table saw for your woodworking projects. The blade controls on your table saw must be easy to handle and control that not only enhance your control over the material but also save you from injury. It must be understood that the blade raising cranks are quite easier to handle and operate in some table saws, while in others; it may seem a bit difficult concept. 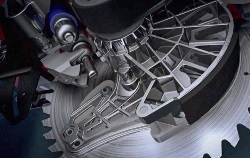 The difference in ease of usage arrives from the fact that there is a difference in the gear ratio and the particular type of mechanism used in the blade control system. So, you need to check out the blade controls in the table saw before you make a decision to buy it. Safety should be the prime concern of each intending buyer of the portable table saw as each year the number of incidents mounts up significantly due to the inappropriate use of these machines. Thus, before buying a table saw, you should check whether it has got all the safety features that incorporates the riving knife, a blade guard and anti kick back pawls. Moreover, there should be the provision of flesh detection technology that would help the machine to stop immediately if any contact of hand comes in contact with the blade. Along with this, the provision of anti kickback would help to avoid the material from being propelled towards the woodworker. In order to enhance your productivity, it is important to look for that table saw which comes with the provision of wide capacity fences. The key benefit of picking the wide capacity fence is that it would allow the user to rip the larger piece of wood say 4 x 8 inch piece of plywood quite easily into the half size. Thus, there can be different scales that would help to specify the width of cut into two different groups like separate and continuous. So, you can choose the table saw as per your convenience based on which type of scale you would prefer to use in your woodworking projects. There can be continuous as well as separate scales available in high quality table saws in the market, but the continuous scale offers the better measurement. There are various table saws that are available with a different dust collection system. As some of the table saws have a port that connects with the vacuum cleaner to collect all the saw dust that is generated during the cutting process. On the other hand, there are some table saws that come equipped with a shroud above the blade that redirects the dust that is gathered above the table saw. So, it is a must feature that should be incorporated in your table saw and you can buy the one that particularly offers both the process of collecting saw dust. Let’s have a closer look at the three different types of portable table saw that would offer a deep insight to the users to have a better understanding about the table saws. The bench top saws are a highly recommended choice of people who need to create small woodworking projects. The bench top table saws are smaller in size, offer compact designing with the use of lightweight composite material along with plastic and aluminum. These table saws are highly usable for creating the smaller sized projects like cutting the plywood or using the pine wood for your projects. Even though these table saws don’t have any stand or provision of wheels, but still these given table saws are incorporated into the category of portable table saws because these are light weight that can be carried in any place of work. The compact table saw is the advanced version of the bench top saw as it offers some of the benefits of bench top saw along with some refined features. The compact table saw is a lightweight table saw with the provision of direct drive universal motor that makes it suitable for intermediate level of woodworking projects. Along with this, the compact table saw comes equipped with table surface made from cast iron and stands that add to their portability features. But, their table surface and rip capacity are smaller so that must be counted on for using it for your woodworking project. The jobsite saw can be defined as the sturdy and powerful table saw that is designed for heavy duty woodworking projects. 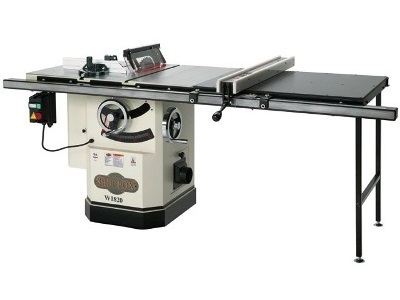 These table saws are designed for professional woodworking as these machines are accompanied with advanced features. The jobsite saw comes with the provision of better alignment features, extension table, effective fencing, higher rip capabilities and folding stands to save the space. 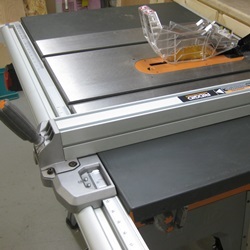 Along with this, the provision of storage space, dust collection port and riving knives make it the well designed table saw for professional users. 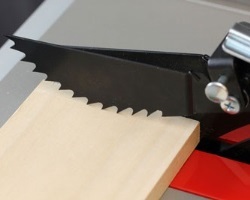 The blade guard is an essential safety feature that must be accompanied in the safety features of your table saw. The importance of a blade guard arises from the fact that it helps to save the hands of the user from the blade. But, many woodworkers don’t prefer the use of a blade guard unless it is made of plexiglass as if made from other material, the blade guard doesn’t allow the users to look at the cuts and the measurements precisely. Thus, you should opt for the table saw that comes with the provision of a blade guard for your safety. The safety features that your table saw should have is the splitters and anti- kickback pawls. The splitter is essentially a small sized vertical blade constructed from plastic or metal. Its key purpose is to grasp the kerf open that is placed behind the blade of the table saw. While, on the other hand, the anti-kickback pawls are designed to provide the adequate shield to one side of the wood piece. The main purpose of the anti kickback pawls is to avoid the propelling of the wood piece in case of kickback and thus, its claws do this job perfectly. But, the user must always buy the table saw that has got splitters and anti-kickback pawls. 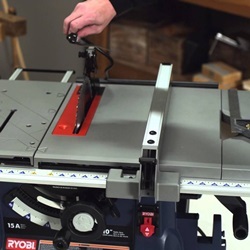 The riving knife is another safety feature that you must look into your table saw mechanism. The riving knife almost does the same function as that of splitters, but the key difference is that it moves along with the blade and helps in making all sorts of cuts like cross cuts, dado cuts, and non through cuts. 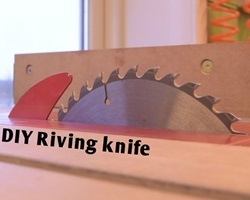 Moreover, the riving knife is designed such a way that it is mounted much closer to the blade that offers very less space to the wood to get trapped by the blade’s back. Thus, it makes the riving knife an essential part of your safety set up. As it is observed that the lack of safety features lead to serious injury to the woodworker and cause amputations as well, so get a table saw that comes with a sensor. The SawStop table saw has come up with the new technology of sensors that stops the blade immediately when the human skin comes in contact with the blade. The entire process takes 0.02 seconds that help a lot of woodworkers to avoid any serious injury. As the machine stops with the sudden jerk, the blade and brake mechanism needs to be replaced, but it helps to save the user from serious damage. 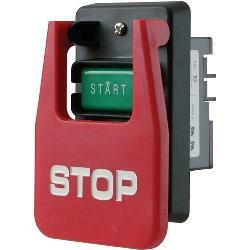 The magnetic switch is another relevant safety feature that must be incorporated in your table saw. The magnetic switch is designed to protect the motor of the table saw from being overloaded. In case, if there is any power related concern, the magnetic switch helps to put off the motor when there is any shortage of power. It would help to save any sort of injury, especially if you are working on adjusting the saw and blade, and there is any fluctuation in the power, then magnetic switch put off the motor. You need to switch on the button to power up your table saw. The push stick is a safety feature comes with the SawStop table saw and is intended to increase the operational efficiency of the woodworker. 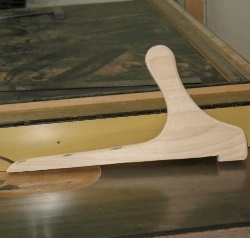 The push stick helps to glide the wood piece through the blade of the saw. It adds to the safety of the user as it is not recommended to use the bare hands close to the blade to manage the wood piece. Thus, with the use of push stick, the user can easily slide the wood piece through the blade of your table saw. Bosch is the leading brand in the world of manufacturing of the power tools. The table saw manufactured by Bosch speak about the high quality material accompanied by the features of portability, durability and high performance. Moreover, the brand makes it certain to provide all the safety features that ascertain the highest quality output with the use of Bosch table saw. Along with this, the brand builds the table saws that are meant for offering a superior quality finish to all the professional and DIY woodworking projects. Dewalt is a prominent brand that is acknowledged in the world for offering the powerful tools with high quality. The table saws manufactured by Dewalt make it extremely viable for all the woodworkers to create their woodworking projects with extreme precision and professional expertise. The brand makes it certain that the table saws built by it not only deliver the powerful performance, but also offer the incredible working opportunities to all the hobbyists to give practical shape to their projects. Powermatic is another renowned brand in the tools industry that offers the superior quality table saws for professionals as well as DIY purposes. The incredible built quality and precision in designing help to create the perfect woodworking projects. This brand is dedicated to deliver the different varieties of table saws to ensure that the diverse requirements of the users are provided with amazing solutions. Thus, the brand Powermatic is dedicated to offer high quality tools and table saws to ensure that their product adds value to the lives of people. Ridgid is another prominent brand that speaks volume about the high end productivity of its table saws. The manufacturer of different types of table saws makes sure that the users have all the access to modern features along with having the ability to attain the professional results in each of the woodworking projects. It is a reputed company that aims at achieving excellence in developing different types of tools including table saws. SawStop is another leading manufacturer of table saw and is based in Oregon, USA. The brand is committed to offer the highest safety standards in their tools and this has led to the introduction of an automatic braking system in the table saw. This mechanism plays a crucial role in saving a lot of people from serious injuries and amputations. The brand has certainly revolutionized the safety standards in the woodworking industry. 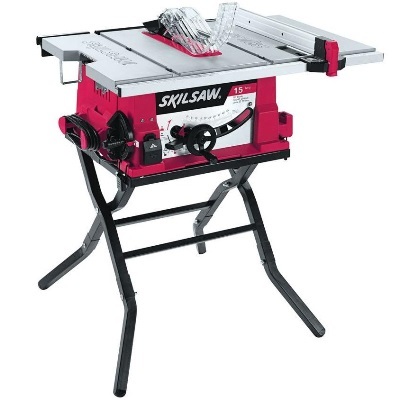 Moreover, the brand provides the well built, high quality table saws that are designed for extreme precision. The brand Shop Fox is a renowned brand of the woodworking industry as it aims to provide the superior quality woodworking tools and equipments. The brand is known to offer the reliable and excellent table saws that have all the contemporary features accompanied with the required safety standards. Moreover, the brand has got the tremendous support of its customers as it has provided the trustworthy service to its clientele for over 25 years and still excited to provide excellent results. The brand Skilsaw was established in 1924 and is credited to develop the first portable circular saw. The brand is recognized for offering the cutting edge technology in the table saw manufacturing. Moreover, its circular portable table saw has defined the standardized version of table saws and all the woodworking professionals consider it as the benchmark for the perfect portable table saws. In fact, the table saws of the brand offer the superior quality finish with modern features and the added benefit of safety features. The portable table saws are powerful machines and require the user to take few precautions. The woodworker is required to wear the safety glasses, ear plugs as these things help the user to save him from all sorts of dust that comes across while cutting the wood pieces. The earplugs help to save the ear drums as the table saw makes a loud sound, so it is recommended to use the ear plugs. It is recommended to use the push stick, push shoe and splitter while cutting the thin boards. You need to use the insert that is a wood piece which is placed between the side fence and blade saw to create the buffer zone while cutting the thin pieces of wood. It also helps to protect your hands from saw blade. There is a need to use a blade guard that helps to keep away the debris coming back to you while cutting and keep your hands safe from the blade. Avoid using the warped boards as these pieces of wood can be dangerous. Use the emergency button in case of any injury. You need to wear the adequate dress fit for woodworking projects. Read the instructions guide carefully to avoid injuries. You should use the feather boards that would help to hold the wood against the fence that enables to make straighter cuts. You can use the out feed table support, especially when you deal with the ripping of long sized boards. You must tie up a straight shaped piece of wood to the miter gauge. It is recommended to affix a longer board to the fence of the table saw that would help to guide the longer sized boards. You need to keep push sticks to feed the lumber through the blade of the table saw. Is all portable table saw come with a blade? Yes, all the portable table saws do come equipped with the blade to ensure that the woodworking projects are accomplished with precise cuttings. 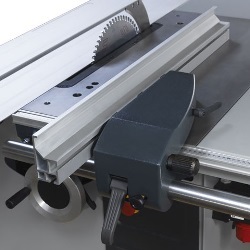 Thus, a high-quality blade has always formed the essential component of a portable table saw. Does horsepower rating is an important fact for a portable table saw & is there any ideal measure for that? Yes, the horse power rating is extremely important for determining the capability of the motor of portable table saw. The standard portable saw comes equipped with 1-2 hp that is ideal for making smaller cuts. But, if you need extra power to cut the hardwood, then buy the table saw that has 3 to 5hp for best results. 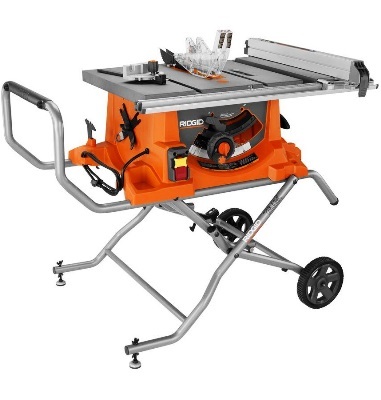 Can I use portable table saw with dado blade set? Yes, you can use the portable table saw with dado blade set, but you need to make sure that the motor of your table saw is powerful enough to do the job. As in case, if your motor is small sized, then it would just bog down under the extreme load. How can I avoid kickback/resistance while using a portable table saw? The woodworker needs to be extremely careful while working on the table saw and make sure to use the riving knife or you can use the splitter that would help to avoid kickback/resistance while using a portable table saw. When I’m buying a portable table saw, do I need to worry about 110V vs 220V and single phase vs tripe phase? It is recommended to buy a portable table saw with 220 V as many better options are available with this voltage; otherwise there is no big difference between the two unless you want the table for heavy duty use. The triple phase motor is reliable and doesn’t need separate starter coil as compared to single phase. Does portable table saw come with sawdust collection bag? Yes, some of the portable table saws come equipped with the sawdust collection bag. The saw dust collection bag helps to make the space a lot cleaner and avoid any sort of allergy to the woodworker that can come through sawdust. Can I use table extenders for any type of portable table saw? Yes, you can use table extenders for any type of portable table saw. 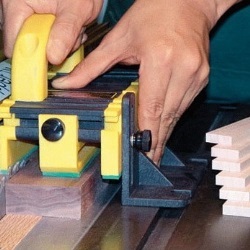 It would help you to place and cut the larger pieces of wood quite easily and accurately. Does portable table saw works like a router table as well? 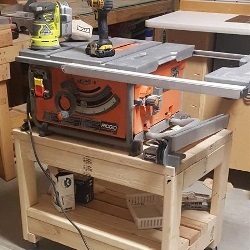 Yes, the portable table saw can work like a router table as well, but you need to make the required additions with specific guidelines to make sure it works well. Can I use portable table saw for heavy work? Yes, you can use the portable table saw for heavy work as the table saw that comes equipped with a high powered motor can do the job perfectly. On a whole, it can be stated that the best portable table saw reviews help to bring out the essential information required for buying the best portable table saw. Thus, if you are inclined towards woodworking projects and have professional expertise or you are just a beginner, then the review offers an interesting and detailed insight into all the key aspects of a portable table saw. So, get ahead with your woodworking projects and buy the most reliable and performance oriented portable table saw for optimal performance.